The summer is fast approaching, and that means more and more time spent outdoors. Hopefully, it also means you've been stocking up (and slathering on) sun protection factor (SPF) sunscreen. But 70 percent of beachgoers who lather on sunscreen onto their skin will overlook one essential spot on the body: their lips. According to a study conducted at the University Of Texas Medical Branch Department Of Dermatology, researchers evaluated the use of ultraviolet light (UVL) lip protection and knowledge about the role of UVL as a risk factor for lip cancer in an outdoor environment — the beach. Of the 299 survey responders, only 37 percent those who applied sunscreen properly on their skin also used lip protection. While the survey responders knew UV damaged their skin, many were unaware that sun exposure could lead to lip cancer. Ultraviolet (UV) rays are the most important risk factor when it comes to skin cancer — UV rays are associated with 90 percent of all nonmelanoma skin cancers (NMSC) says the Skin Cancer Foundation (SCF). Lips have no melanin, which makes them more susceptible to sun damage cause by UV exposure. Signs of sun damage on the lips develop overtime as a result of excessive sun exposure over the years. The sun's UV rays can impact the production of collagen on your lips which can result in the formation of wrinkles on and around the area as a sign of early aging and sun damage says Mayo Clinic. Who is more susceptible to lip cancer? Men or women? Researchers at the University of Western Australia conducted a 25-year study (from 1985 to 2006)` to report on the occurrence of lip cancer and the mortality rates of residents in Western Australia. The data provided by the Western Australian Cancer Registry showed that lip cancer represented approximately 50 percent of all oral cancers with 81 percent of new cases occurring on the lower lip. The prevalence of the disease in men in comparison to women is three to one with males over the age of 50 being the most susceptible group. Women have a reduced risk of lip cancer compared to their male counterparts mostly just because they use products more — they are more likely to put on lipstick and other sun screening lip products. Research indicates women who have excessive sun exposure and only apply lip protection once a day or less have twice the risk of developing the disease than women who have a greater usage of lip applicators per day. It is important to keep lips soft, smooth, hydrated and healthy during the summer to protect them from sun damage. The application of a lip balm and continually drinking water can help facilitate your protection against UV rays. However, do not just apply an SPF lip balm on sunny days — it is important to use the stuff every day, even if its cloudy — UV rays can get through a cloudy sky. Also, make sure to apply and reapply every day at least once every two hours, says the American Academy of Dermatology (AAD). It's time to empty out your pocketbook and pick which lip product tubes get the boot this summer. For sun protection, opt for a lip balm that has an indicated SPF 15 or higher to keep your lips smooth with long-lasting moisturization. Lipsticks that are shiny or contain high gloss with little-to-no color are harmful to your lips because they can direct UV rays to the area. Lip gloss, like high-shine lipsticks, acts as a reflector for the sun's ray and those without an SPF can increase your chances of developing skin cancer says Discovery.com. Tip 1: If your lips become dry and start to peel, use some sugar and olive oil to exfoliate your skin and remove the accumulated dead skin cells. Tip 2: Look for a lip product that has a base of beeswax, petroleum jelly, or paraffin. These products will seal moisture and stay on your lips longer in comparison to thinner balms and glosses. Tip 3: Ditch the lip gloss and switch to a matte lip product with an SPF. 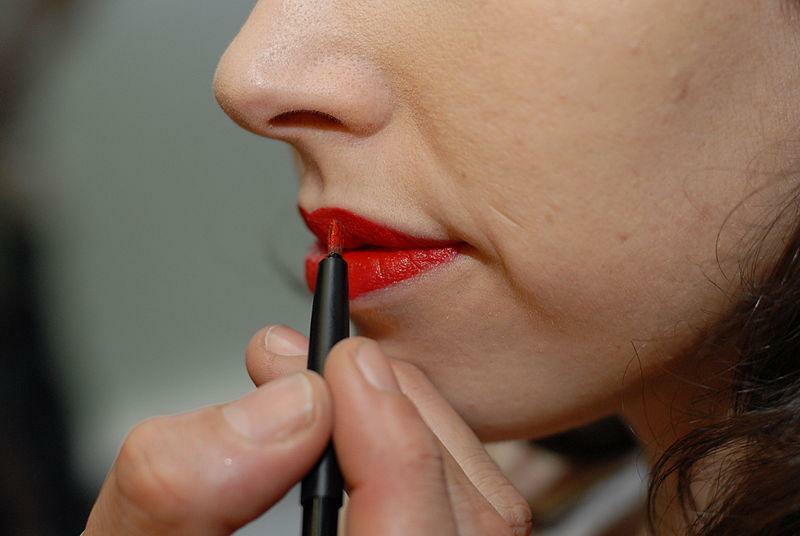 Tip 4: If you need to stick with lip gloss, apply a colored lipstick to your lips first and then add some shine. A colored lipstick with an SPF product is your best bet. Tip 5: Opt for a lip gloss product with a minimum of SPF 30.